Mike Colter is coming to CBS All Access. 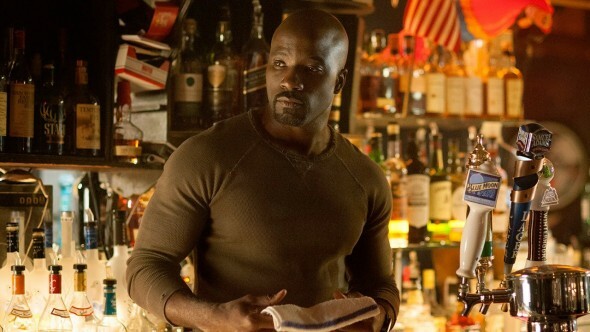 Deadline reports the Luke Cage star will reprise his Good Wife role on season two of The Good Fight. A spin-off to The Good Wife, the legal drama follows Maia Rindell (Rose Leslie), the goddaughter of Diane Lockhart (Christine Baranski), who becomes enveloped in a major scandal that ruins her reputation and her godmother’s finances. The cast also includes Cush Jumbo, Delroy Lindo, Erica Tazel, Sarah Steele, and Justin Bartha. On The Good Fight, Colter will be reprising the role of Chicago drug lord Lemond Bishop, which he originated on The Good Wife. Season two of The Good Fight just debuted on CBS All Accessearlier this month. What do you think? Are you watching The Good Fight? Do you want a third season? love this show and the women in it, the writing, the plots, that they talk about racial issues and all kinds of relevant political issues.